What we were told about Ketchikan prior to arriving: Ketchikan is the rain capital of Alaska. It rains 240 days a year. Locals measure rain in feet, not inches (13 feet annually). The town is nestled in a coastal rainforest. Locals are fond of saying, “If you can’t see Deer Mountain, it’s raining. If you can, it’s going to rain.” You get the idea. What we experienced as the Star Princess floated into town this morning: Clear blue skies and a sunny 63 degrees. Go figure. Ketchikan is a small fishing town (pop. 8,142) clinging to the western edge of Revillagigedo Island. It’s known as Alaska’s “first city” because it’s the southernmost port of call for for ferries, cruise ships, and explorers heading up the Gastineau Channel. Ketchikan is located in the Tongass National Forest, which is the largest national forest in the United States at 17 million acres. It’s also the Earth’s largest remaining temperate rainforest. As we made our way northward, the sun rising behind a seemingly endless blanket of Sitka Spruces created a breathtaking memory. These giant trees are everywhere you look. It feels like you’re experiencing a hundred different shades of green. They cover every island in the Tongass Narrows, every inch of every mountain that dominates the skyline behind Ketchikan. When I posted a couple days ago about preparing for this trip by reading poetry instead of guidebooks, I mentioned Cartography of Water by Mike Burwell. When I read his piece “Dream Island” in the airport in Salt Lake City, it was lovely. 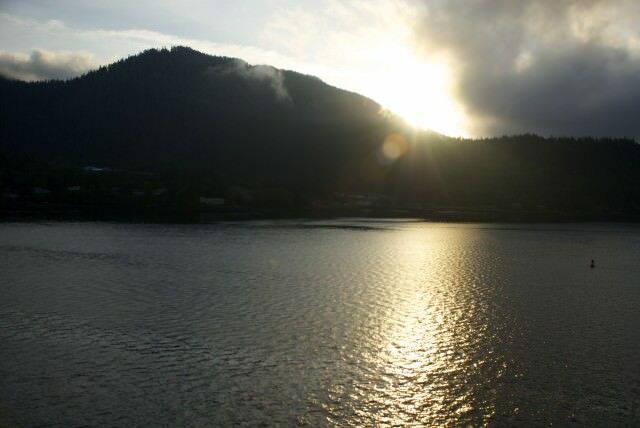 When I re-read it on our Star Princess balcony at 5:30 a.m., the sun peeking through thousands of Alaskan spruce trees, it resonate to my core. unreachable and rich as woman. stuck in a hem of spruce. at the edge of the ocean’s dream. water nerve. I smell the green. The exceptional weather greeting us was good news for our shore excursion and for our plan to walk into town and explore Creek Street. Heather and I signed up for the same excursion today, a visit to Saxman Native Village. 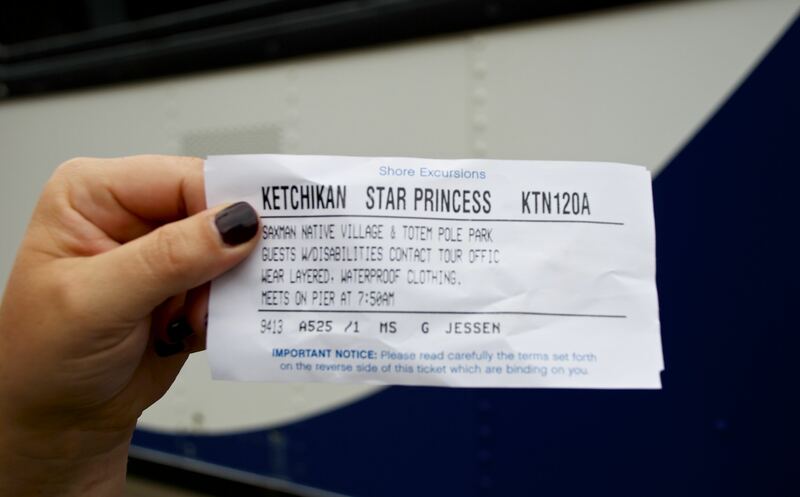 Before I tell you about our time with the Tlingits in their Beaver Clan tribal house, a quick word about navigating shore excursions in general. I’ve already mentioned that I like to chill out at sea, but love to be active in ports of call. 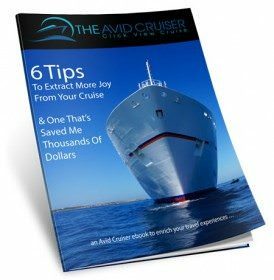 In my opinion, it’s always worth it to book a shore excursion or to research the port and create your own adventure. 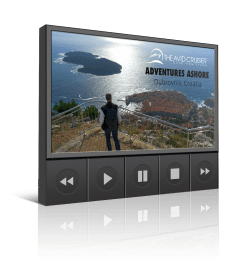 Heather and I chose to pre-book all our excursions online two month ago. You can wait until you’re on board to sign up, but you run the risk of the excursion you want selling out. The Princess Patter (daily onboard newsletter) that arrived last night featured a message from Shorex Manager Ian Harvey. He maintains an office on Deck 7, near the Crown Grill, where you can book excursions or simply receive advice about planning your own day on shore. There were a number of people on our excursion today who booked as late as last night, by the way. Since we pre-booked, our room steward delivered a package to us our first day onboard with our excursion tickets. The tickets list all the information we need: Excursion title, meeting location and time, and what to pack, wear, or prepare for physically (if anything particular). This is another potentially chaotic process that Princess has nailed down perfectly. It’s completely clear, seamless, and stress-free. The Tlingits are one of the indigenous tribes that first settled Southeast Alaska, originally as a summer fishing camp. 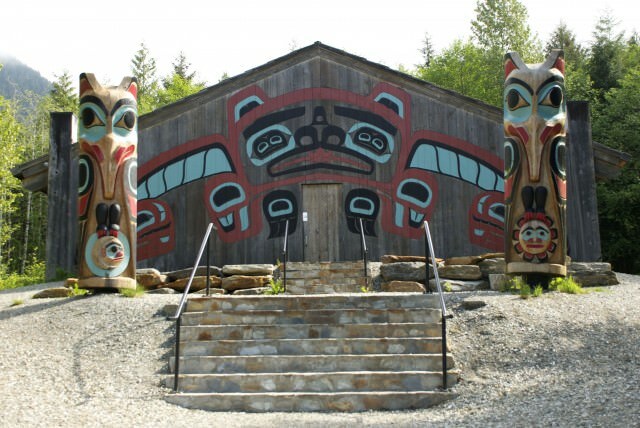 Saxman Village is located three miles south of Ketchikan and is home to more than 800 Tlingit people. 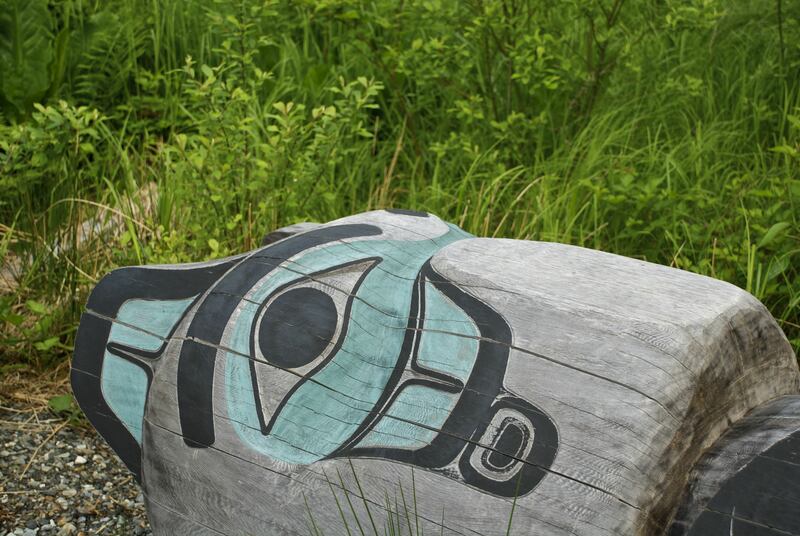 A few residents are members of the Haida tribe. 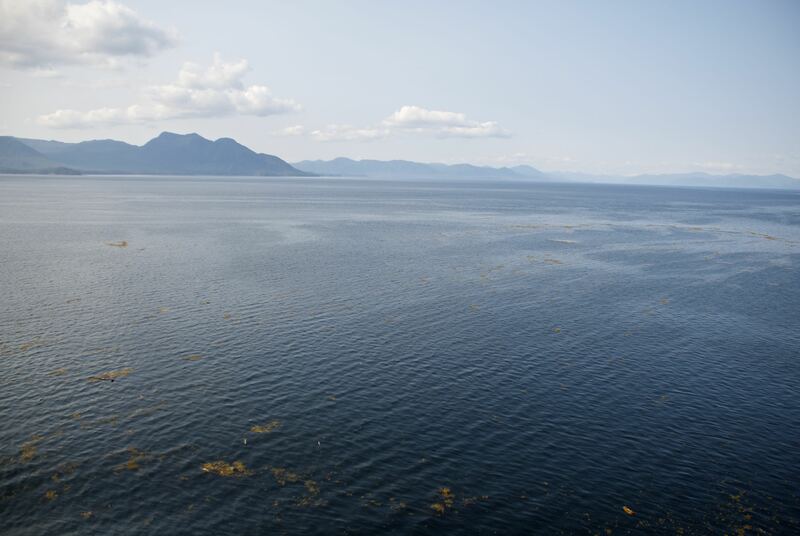 In the whole of Southeastern Alaska, Ketchikan and the surrounding area has the highest percentage of Native residents. I heard 14 percent yesterday and 19 percent today; regardless, the point remains the same. Also, Saxman is not a reservation but a fully independent village, an important distinction. When we first arrived we learned a few Tlingit phrases before watching a 15-minute documentary on the history of the people and the area. 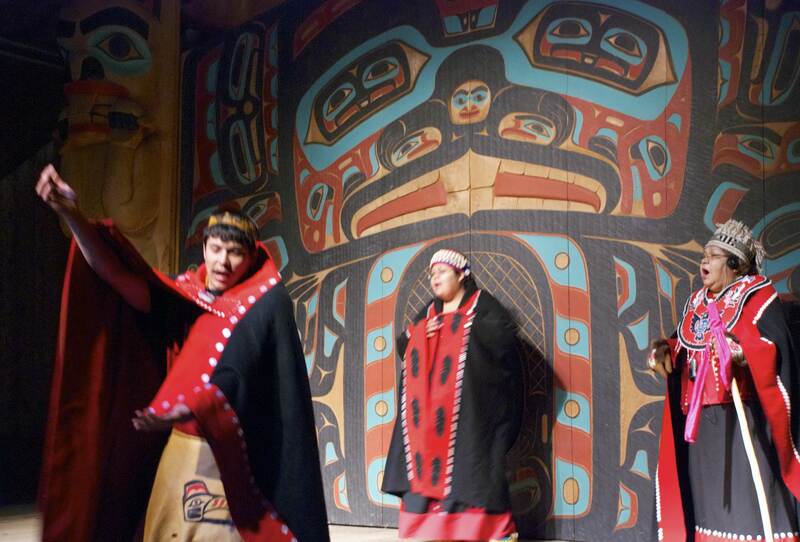 They welcomed us into the Beaver Clan tribal house and performed a few of their traditional dances. My favorite was the dance that sends fishermen off in their canoes, wishing them safe passage and a successful catch. Men, women, and children participate in the dances. Today, so did members of the audience at the invitation of the chief. Just outside the clan house is a totem park. 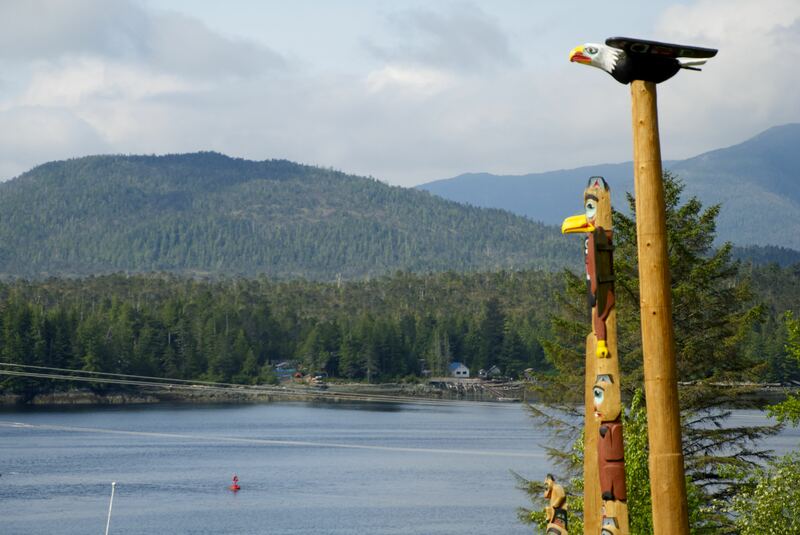 Ketchikan as a whole is heralded as the best location in Alaska to see totem poles. I wasn’t prepared for just how many are scattered casually around town beside streetlights, stop signs, and other nonchalant accessories of daily life. 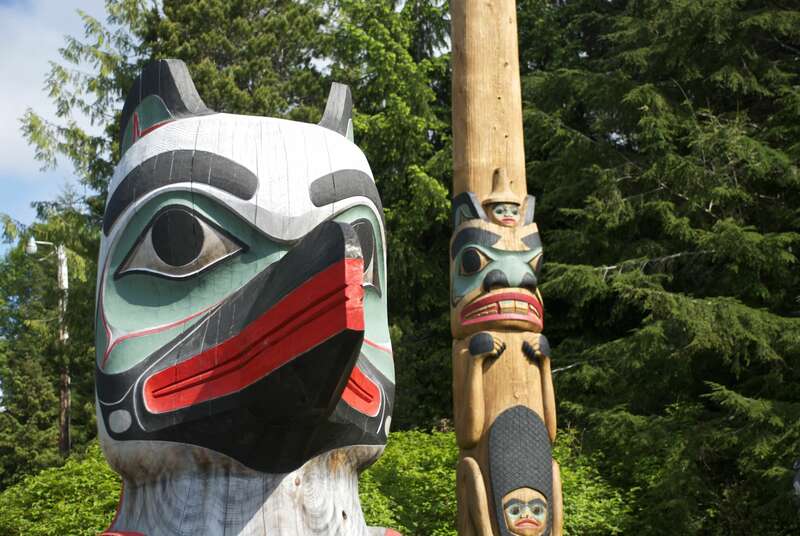 Eighty varieties of totems are found in the three block area of downtown Ketchikan. 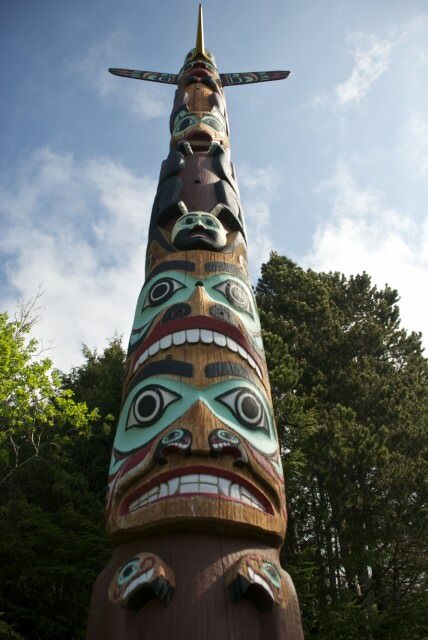 Totem poles are an art form specific to tribes in the United States’ Pacific Northwest. They are used to preserve historical records, portray cultural stories, and identify clans. 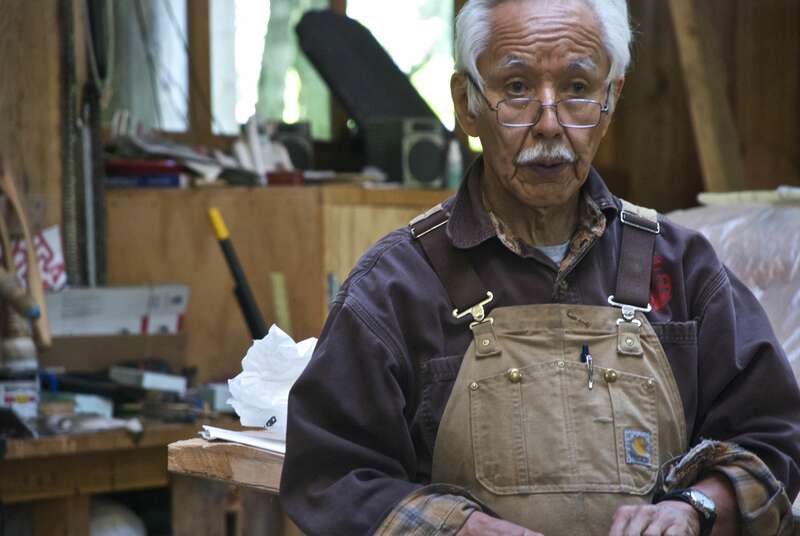 Totem carvers are trained in local mythology, in an intense way similar to a shaman’s training in healing rituals. Carvers are required to pass extensive oral exams before they’re allowed to start carving. Totems are often misunderstood as religious symbols, which they are not. The geometric patterns, animals, and people do have both literal and metaphorical meanings; so think of them as visual aids to thousands of years of rich oral history. Interesting fact: I learned today that inanimate objects are never carved into totem poles, something I hadn’t noticed or realized until now. This restriction is meant to honor life in its full, animate, dynamic circle — including respect for the giant Red Cedar trees that are felled to create the totems. 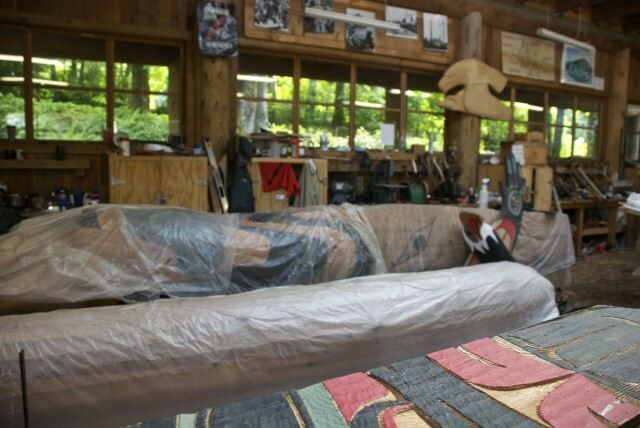 Once a totem pole is carved and raised — and it can take up to two years to complete — it is never removed. Many can stand as long as 60-80 years. It will eventually rot, fall down, and decay completely below where it once stood, but that is allowed to happen in its natural course. The same is true of homes and other structures built from natural materials. We drove past a chief’s former home and the wooden structure was rotting away peacefully. We were told: “We built it from Mother Earth and so it’s returning to her.” Beautiful. 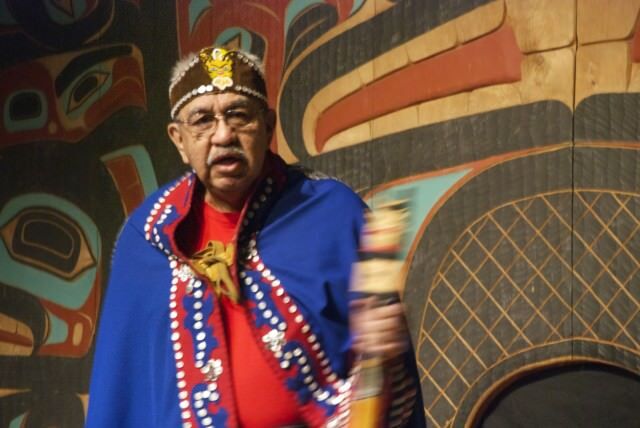 We had the chance to meet Tlingit master carver Nathan Jackson. In his workshop he showed us totem poles in progress and explained his traditional carving tools. I loved this moment because with my ignorant eyes I saw three piles of wood and assumed everything was Red Cedar. We then spent five minutes learning about the different types of wood that were actually in the workshop and the functional differences among them. It reminded me of something I learned years ago: The Inuits have many distinct words for snow. It was a reflective moment to realize how far we (city folk in general terms) are removed from nature and intimate experiences with it. I will say though, one intimate nature experience I do not wish to have is the traditional creation of paint for the totem poles. Women were once responsible for chewing salmon eggs and spitting out the oil to use as the base of the mixture for red paint. They would spit through their front teeth, using them as a strainer. Nathan the master carver joked with us that in 2014 they just drive down to Ace Hardware and call it a day. He also said this was a decision made by the women. With limited time in town, my primary goal was Creek Street. 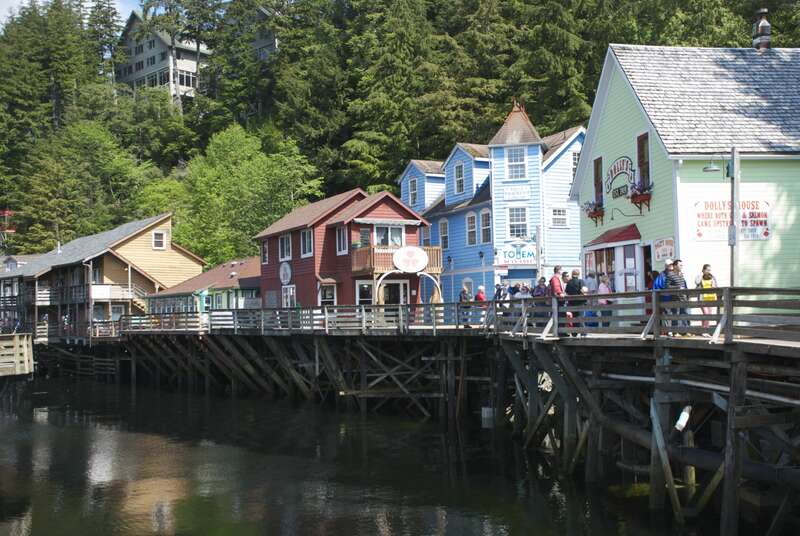 Said to be the most photographed street in Alaska, Creek Street enjoyed its heyday as Ketchikan’s Red Light District in the late-1800s and into the 20th Century. More than 30 brothels crammed into an area that took Heather and I less than 15 minutes to walk completely start to finish. 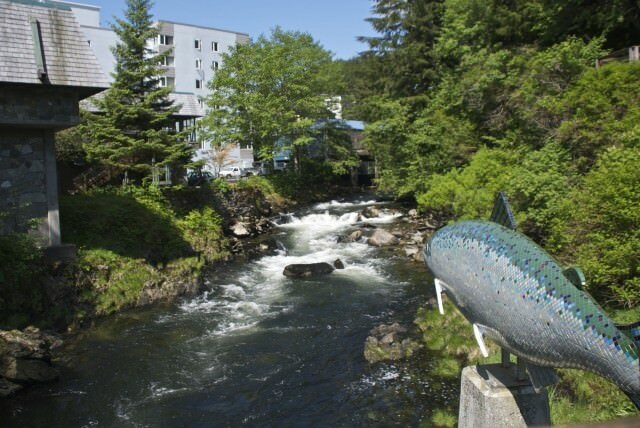 Ketchikan is self-described as The Salmon Capital of the World. It’s often said that pioneers actually came to Ketchikan for the wealth of salmon, not gold; but as a sign on the infamous Dolly’s House quips: “Where both men and salmon come upstream to spawn.” Ignoring the men and speaking of the salmon, the charm of Creek Street is that its colorful wooden shops and homes are built entirely on stilts over Ketchikan Creek. I can only imagine the chaos of thousands of salmon fighting the current below those rickety wooden planks. Today Creek Street is mostly touristy souvenir shops, a couple restaurants, and Dolly’s House is a museum with a $10 entrance fee. 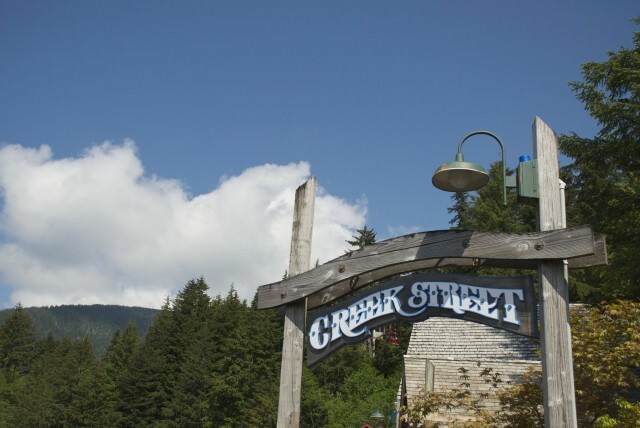 The infamous Creek Street, built on stilts over Ketchikan Creek where salmon make their annual run. The Star Princess sailed away from Ketchikan through the Tongass Narrows, bound for Juneau. Those of you familiar with the San Juan Islands off the coast of Washington State will feel at home among these rolling island hills that dot deep blue water with spikes of spruce and hemlock. The difference that lets me know I’m in Alaska, and not half way to Friday Harbor, is the sharp snow-capped Alpine peaks jetting into view every so often. In Snow Pass we watched from our balcony as humpback whales breached and splashed and played in one of their favorite feeding grounds. I would use the word majestic, but even that feels trite and insufficient in this setting. Tomorrow we wake up in Juneau and I board a seaplane, flying over glacial ice fields. Heather heads out on a whale watching trip after she hikes the infamous Mendenhall Glacier. Adventure abounds! You make me want to cruise to Alaska. Thanks for the great day by day. Thank you very much, that’s high praise for a travel writer. Alaska is a must-do for any traveler! Great story! Glad I was a woman painting the totem poles back in day. Glad I wasn’t a woman doing anything back in the day! All this Alaskan Gold Rush era history is making me grateful it’s 2014. What a difficult, adventurous life they had. My college girlfriends and I will be cruising from Seattle to Alaska next summer. I’ve shared your journey link with them, in hopes that we decide to do many of the items on your itinerary! Perfect! Hopefully I’ll convince them. Dolly’s may be the only place in the world where you get to see a shower curtain made with condums….You actually have to look quite a bit before you realize what they are…. :) interesting place, interesting woman….. Shoot. A shower curtain made of condoms would’ve been worth the $10 entrance fee. That’s hilarious. Now I know for next time!